It wasn’t the most exciting first 60 minutes, but overtime and a shootout brought the fans in the Shaw Centre to their feet on a number of occasions. With eight players injured, and five APs called up, it was a young Silverbacks roster Tuesday in Salmon Arm. 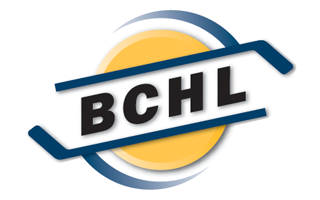 Brendan Kirschner made his BCHL debut being called up from the Thompson Blazers. Three minutes into the game, Ethan Schaeffer nearly had his first BCHL goal setup in the slot by Logan Shaw, but Clay Stevenson came up with the stop. Three minutes later the point streaks would be continued by John Little and Matthew Verboon. Verboon from behind the goal put the puck out front, and Nikolas Sombrowski a pass across to John Little who scored his ninth of the season. It was the 13th straight game Little recorded a point, and 11th straight for Matthew Verboon. The streak for Little ties a league high this season, with Ryan Brushett leading the category scoring points in 17 straight games. In the second period, Salmon Arm outshot Coquitlam 15-3, but neither team found the back of the net. The Silverbacks best chance came with 5:40 to go with Andy Stevens setting up Trevor Adams, but the Silverbacks forward couldn’t beat Stevenson. On their second power play of the game in the third period, Coquitlam would finally break Ethan Langenegger’s shutout bid on their 18th shot of the game. A drop pass from Ty Westgard to Regan Kimens was fired under the left pad and in to tie the game at 1-1. The best two chances in overtime belonged to the Coquitlam Express. Ty Westgard was sprung for a breakaway one minute in, but the second leading scorer on Coquitlam couldn’t score. 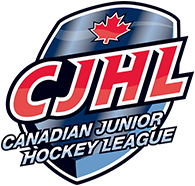 Defenceman Jordan Schulting nearly had a highlight reel goal coming off the left wing and cutting towards goal, but couldn’t tuck in the game winner. Things would head to the shootout, where both teams had two wins on the season. Dallas Farrell shot first for Coquitlam, and his “no-shot” move was turned away by the pads of Langenegger. Nick Unruh answered for Salmon Arm skating down the left wing, and cutting across the ice lifted a backhand shot over the glove of Stevenson. Ty Westgard came oh so close to evening the shootout, but the Express forward couldn’t beat the outstretched left pad of Langenegger. Matthew Verboon went bar down to seal the victory for Salmon Arm. Against the fourth best goal scoring unit in the BCHL, Ethan Langenegger had another spectacular game for Salmon Arm a day after being named an honourable mention for BCHL player of the week. Stopping 27 of 28 shots and both attempts in the shootout, the Sivlerbacks netminder was the difference maker in a very tight game. On the backend, Andy Stevens had a solid night defensively stopping a number of Coquitlam rushes.